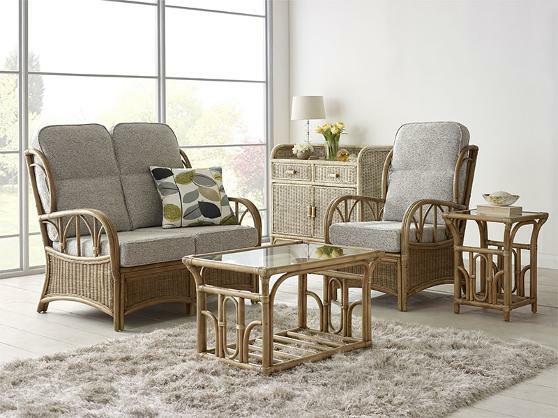 The Pesaro is equally at at home in the Conservatory or the Lounge, this range offers the comfort of a traditional upholstery suite but with the added beauty of the woven rattan. With the choice of over 50 fabrics this range is suitable for any home. Daro operates a 3 tier fabric system. Grade A is the cheapest fabric and is usually 100% cotton. Grades B and C are more expensive fabrics and are more hardwearing. All of the fabrics are removable and can be dry cleaned.